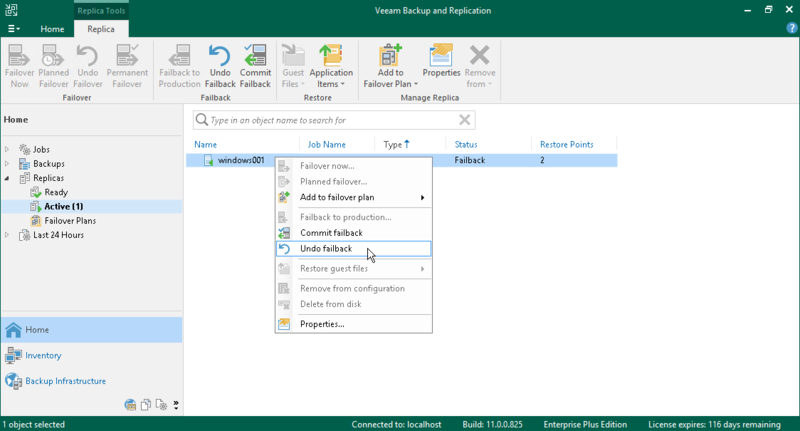 The Undo failback option allows you to switch from the original VM back to the VM replica and roll back the replica to the failover state. Open the Home view and select the Replicas node. In the working area, select the necessary replica and click Undo Failback on the ribbon. Open the Home view and select the Replicas node. In the working area, right-click the necessary replica and select Undo Failback. In the displayed dialog box, click Yes to confirm the operation.